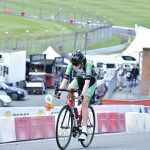 There was double celebration for Welwyn Wheelers in the National Youth Circuit Series after the concluding round at Brands Hatch. Oli Stockwell was 1st in the U16 category and Euan Woodliffe was 2nd in the U14 category. A fantastic achievement after 7 rounds of national events that took them to courses all over the UK. 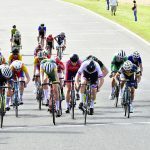 The 48mph sprint in the U16 boys race saw one of the closest finishes of the season with National Champion Oliver Stockwell seven thousandths of a second ahead of Iwan Evans of The Bulls with Aaron Freeman of Chelmer Cycles just three hundredths further back. A great end to a fantastic season. Tom Sharples finished 13th, Joe Kiely 16th, Rizwan Hameed 62nd and Archie Peet 70th after getting caught in a crash. 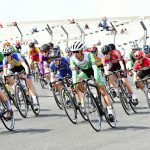 The U16 girls team of Ella Coleman, Ellen Bennett and Iona Moir again showed their potential for next season, finishing 5th, 8th and 14th respectively in a tight bunch gallop. In the U14 Euan Woodliffe was 7th after leading out the final bunch sprint, Nathan Hardy 17th and Callum Moir 38th. 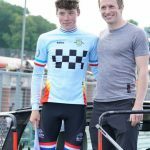 To top it off Oli Stockwell was awarded the race jersey by 6 time Olympic champion Jason Kenny. 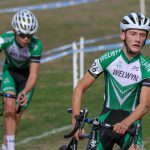 Elsewhere the Wheelers were out in force enjoying the sunny and dry conditions at round 1 of the Central league Cyclocross at the Milton Keynes Bowl on Saturday. A tough course with some challenging climbs and technical turns. There were many successes across the board with Alister Davis 13th in the U8s and Elijah Storti 6th, Xavi Knott 7th and Josephine Davis 19th in the U10s. The U12 Boys continued to be a neck and neck battle between Finlay Woodliffe and Rupert Cavill, with Fin just getting the advantage on the final sprint giving Welwyn another 1,2. Dillon Knott was 5th and Henry Landon 6th. Elise Whitaker won the U12 girls with Megan Hughes coming in 4th. Millie Coleman powered her way round the longer course and earned another 1st place podium, whilst Beth Bennett just missed out in the final lap and came 4th with Lena Alford 7th. In the U16 girls Sasha Blendis came 2nd and Molly Marriott 5th. The U14 boys had further success with Cormac Nisbet finishing his 1st ever CX race with a 3rd place on the podium and Ethan Storti remained focused after dropping his chain and came in 9th. Jeremy Landon was 14th , Thomas Dixon 16th, Finlay Stephenson 21st and William Pollard 25th. In the Vet 40-49 John Cavill, Alex Peeke and Richard Blaxland came 35th and 44th in a huge field of 107 eager riders longing to be back in the mud. 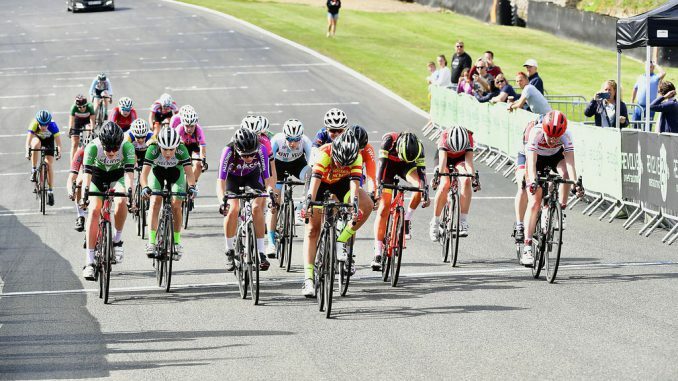 On Sunday some of the Wheelers travelled across to Chelmsford for round 2 of the Eastern League, another dry, hot and bumpy course with 3 sets of leg burning steps to run up for the U14 and upwards categories. In the U10s Daniel Norfolk came 4th. In the U12s Rupert Cavill and Fin Woodliffe set off from the rest of the field at a blistering pace and found themselves up front for the rest of the race, yet another team mate battle ensued and again the final sprint went to Finlay Woodliffe securing them another 1st and 2nd for the Wheelers. 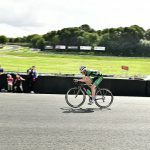 In the Youth race Joe Kiely and Euan Woodliffe set off at a canter and found themselves posting one of the fastest first lap times of the day, after 3 laps Joe kicked and his team mate couldn’t respond giving Joe the win and Euan 2nd place. Oli Stockwell competed in his first race as a Junior, racing along with the Seniors. He came in 1st place overall, more than 2 minutes ahead of 2nd place – Adam Lightfoot was 3rd Junior. In the Women’s race Elspeth Grace enjoyed her day and delivered a great 1st place, we’ll miss seeing her race as she is off to Cambridge Uni at the end of the month. Finally, Charles Rollins represented the Central Region over 3 days at the British Cycling MTB Inter Regional at Hadleigh park – the team finishing an excellent 3rd overall.